Wausau Divorce Process Lawyers - Crooks, Low & Connell, S.C. Whether you are considering a divorce, you are concerned that your spouse may be planning to file, or you have already been served with divorce papers, it is important that you speak with an attorney as soon as possible. Getting divorced is a process, and the sooner you get started, the better able you will be to protect your interests during and after your divorce. 1. How long have you been practicing family and divorce law? When it comes to protecting your legal rights, experience matters. An attorney who has handled numerous divorces will be able to offer knowledge and practical insights that you will not get from a less-experienced attorney. 2. What are some examples of your results in Wisconsin divorces? The attorney you choose should be able to give you several examples of divorces in which they secured favorable outcomes for their clients. 3. Are you the only divorce attorney in your firm? Some divorce attorneys are solo practitioners, and some are the only attorneys in their firms who practice divorce law. While these attorneys may be very good at what they do, it can often be helpful to have multiple divorce attorneys in the firm who can share ideas, discuss strategies, and offer multiple perspectives on your divorce. 4. What are my options for getting divorced? In Wisconsin, you have a number of options when it comes to getting divorced. While Wisconsin is purely a “no-fault” divorce state, divorces can still be contested, and divorcing spouses can resolve their differences through litigation, mediation, or the collaborative process. Your spouse will necessarily have some say in the method you choose, but your attorney should be able to explain your options and help you develop a strategy to secure a favorable resolution as quickly and cost-effectively as possible. 5. 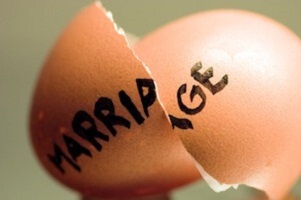 What can I expect from the divorce process? While no attorney can guarantee the outcome of your divorce, with enough information, your attorney should be able to provide an initial assessment of what you can expect with regard to property division, spousal support, child support, and child custody. Which assets are subject to division, and which are yours to keep? Which spouse is likely to have to pay support? Your attorney should be able to clearly and concisely explain how the law applies to your personal circumstances. Schedule an Initial Consultation at Crooks, Low & Connell, S.C. If you are preparing for a divorce in Wisconsin, we invite you to schedule an appointment to meet the divorce attorneys at Crooks, Low & Connell, S.C. To get your questions answered and learn more about what you can expect over the weeks and months to come, call our Wausau, WI law offices at (715) 842-2291 or request an initial consultation online today.